With “congratulations” to the winners and a side-eye to the judges, we want to give a hearty “time out” to the Nobel Prize committee for not awarding at least one woman any of the prizes this year. I mean, come on. For the Nobel Peace Prize, there were a record 376 nominees in contention this year alone, including German chancellor Angela Merkel for her forward-thinking open-door policy on refugees. OK, let’s forget about peace for a second, and look at another category: science. 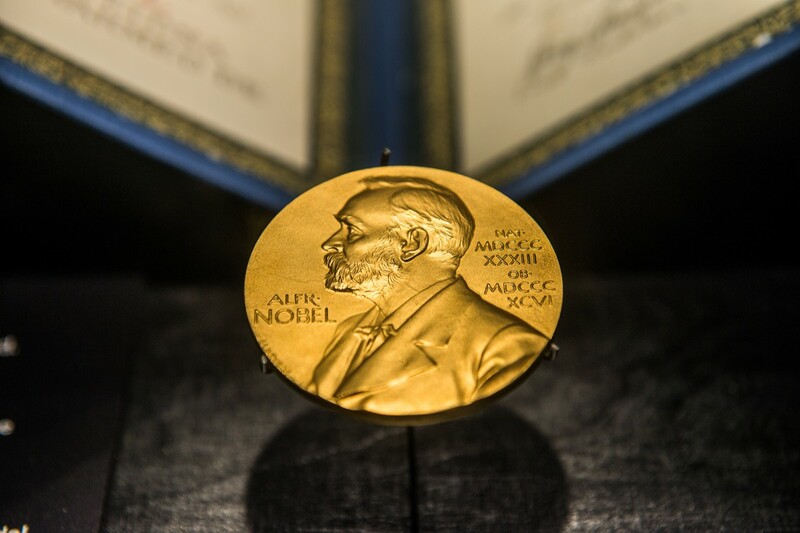 An article on Live Science exposed that out of the 203 people who won the Nobel Prize in Physics, only two women have received the honor—two!—Marie Curie in 1903 and Maria Goeppert-Mayer in 1963. The latter was 53 years ago! Really? The article also points out the lack in nominations for women (which are few in comparison to male nominees), and women winners in the other categories are paltry. So why should a Solo Mom care? Because too often contributions of women get overlooked, including those of Solo Moms. Along with the economic boon a prize such as this has (which is upwards of a million dollars), there is an economic divide that is continuing to be perpetuated in all these fields, especially in economics and the sciences. What are we communicating to our young girls and boys by default? The National Science Foundation’s Science and Engineering Indicators 2016 reports that during elementary school, “female students’ achievement in mathematics and science is on par with their male peers and female students participate in high level mathematics and science courses at similar rates as their male peers, with the exception of computer science and engineering.” Yet by the time these kids graduate from college and head into the workforce, even though women make up half of the total college-educated workforce in the United States, only 29% of the science and engineering workforce comprises women. And it’s drastically worse in economics. A 2014 Bloomberg.com article, “Economics Is a Dismal Science for Women,” suggests that the American Economic Association needs to do a better job at addressing the sexist and discriminatory practices against women in the field—the same way the Nobel Prize committee does! If you look over the list of past women Nobel Prize winners and research their stories over the last two centuries, many if not all of them talk about having to overcome male and educational discrimination. So, yes, let’s champion Solo Mom Carol W. Greider, who won the Nobel Prize in 2009 for Physiology or Medicine with her colleagues; Solo Mom Toni Morrison, for her 1993 Nobel Prize for Literature; and Gabriela Mistral, the first Latin American author to receive the Nobel Prize for Literature in 1945 (Mistral was raised by a Solo Mom), but who else is out there?